Dr. Panayiotis Andreou is currently a Post-doctoral Researcher at the Department of Computer Science of the University of Cyprus. He was also a post-doctoral research at ID-Mind, Lisbon, Portugal in 04-08/2012 and at the Department of Computer Science at the University of Cyprus 2011-12. His main research interests include Data Management for Systems and Networks, Information Systems, Energy-efficient Distributed Processing, ICT services for eHealth and Ambient Assisted Living. Latest curriculum vitae in pdf. Dr. Panayiotis G. Andreou, has received this year's EWSN 2012/CONET best PhD Academic Award. The European Conference on Wireless Sensor Networks (EWSN) is one of the prestigious and high profile conferences in Sensor Networks, which each year offers a MSc and PhD award competition. The prize is donated by CONET, the Cooperating Objects Network of Excellence, a EU-funded project under ICT, Framework 7, which is working on building a strong Community in the area of Cooperating Objects including research, public sector and industry partners from the areas of embedded systems, pervasive computing and wireless sensor networks. This year's fourth CONET Master and PhD Thesis Awards were handed over at EWSN 2012 in Trento, Italy. The award ceremony was held at the Toblino Castle, a magnificent stronghold that rises in the middle of Lake Toblino. Theses in the area of Cooperating Objects that were completed during the year 2011 at an official European university were assessed by separate academic and industrial juries with respect to scientific originality, scientific significance for the field of Cooperating Objects, quality of the presentation and potential for practical application. 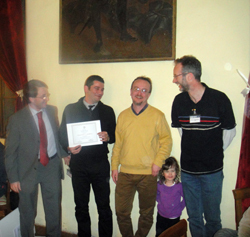 Dr. Panayiotis G. Andreou received the best PhD Academic Award. 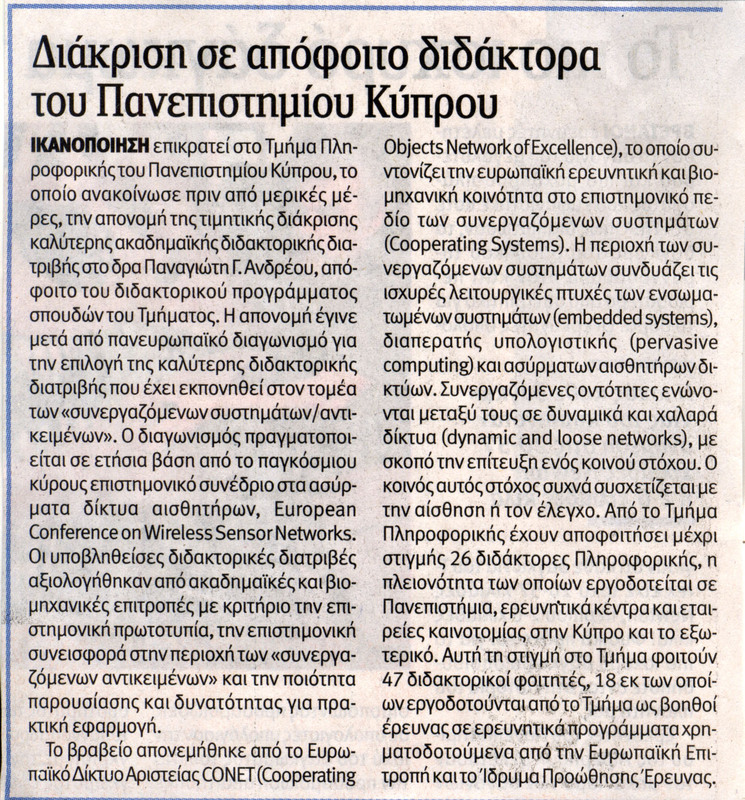 The award was announced at the local newspaper "Φιλελεύθερος" on Sunday 11 of March 2012. 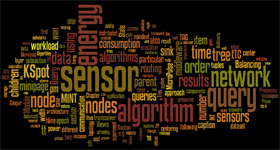 KSpot is a TinyOS/TinyDB extension for monitoring the K-most important events in a Wireless Sensor Network (WSN). It features a novel network-aware architecture for WSNs built on top of a diverse set of energy-conscious algorithms. It inserts a profiling layer between the server and the sensor network that discovers structural and workload inefficiencies and exploits them in order to generate balanced topologies that can be queried in an energy-efficient manner. KSpot is an open-source software available for download here. © 2013 Panayiotis Andreou - All rights reserved.